Why are raspberries red and bananas yellow? A scientific debate has raged for decades about whether plants evolve to produce fruits of particular colours to attract particular animals to help spread their seeds. A new study appears to have finally settled it. Why are raspberries red and bananas yellow? A scientific debate has raged for decades about whether plants evolve to produce fruits of particular colours to attract particular animals to help spread their seeds. A new study appears to have finally settled it. Researchers looked at similar plants in two similar mountain rainforests in Uganda and Madagascar and found that the palette of fruit colours in the two forests is tuned to the way the local fruit-eating animals see the world. In Uganda, most fruits ripen to a bright red — standing out against the green leaves when spotted by the birds and the local monkeys, which have colour vision similar to ours. 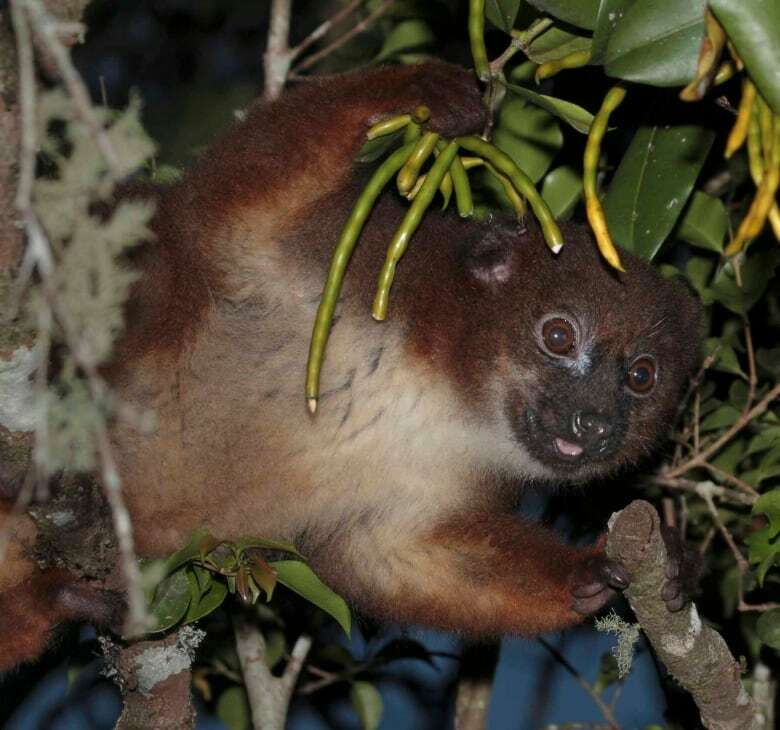 In Madagascar, where the mostly nocturnal lemurs can't tell the difference between red and green, the ripe fruits tend to be green — but shades of green that contrast brightly against the leaves when viewed with "lemur vision," the study, published in the journal Biology Letters, found. The research team was led by Omer Nevo, a postdoctoral researcher at the University of Ulm in Germany, and Canadian biologist Kim Valenta, who is currently an assistant research professor at Duke University in Durham, N.C., but worked on the study while at McGill University. The premise they were looking to confirm is simple enough. Because plants can't move, many of them rely on animals to spread and plant their seeds. To get the animals to do this, the plants enclose the seeds in a tasty fruit. The animals eat the fruit, scamper or fly to another part of the forest, and then poop out the seeds. But the system only works for plants if the animals eat the seeds when they're ready to be planted — that is, when the fruit is ripe. As for the animals, Nevo said, "They don't want to waste their time and energy on trying a fruit that turns out to be unripe and not tasty at all or nutritious at all." Plants typically signal to the animals when the fruit is ripe by changing its colour — something scientists consider to be a form of communication. So it might seem obvious that plants would evolve and produce fruit of the right colour to attract the right animals to eat them. But scientists have found proving this theory isn't so easy, and many previous studies show no evidence of that kind of evolution. Plus, there are other possible explanations for why fruits are the colours they are. Perhaps it's just genetic, and therefore all related plants in that lineage have the same colour. Or maybe it's because the plant happens to make pigments of that colour for other plant parts. One challenge has been that colour vision varies widely in animals, and most animals see colours very differently from the way humans — including scientists — do. Realizing this, Valenta started measuring fruit colour using a machine that can objectively quantify and compare all colours — a spectrometer that she says she "impulse bought" with grant money she received while working on her PhD at the University of Toronto. 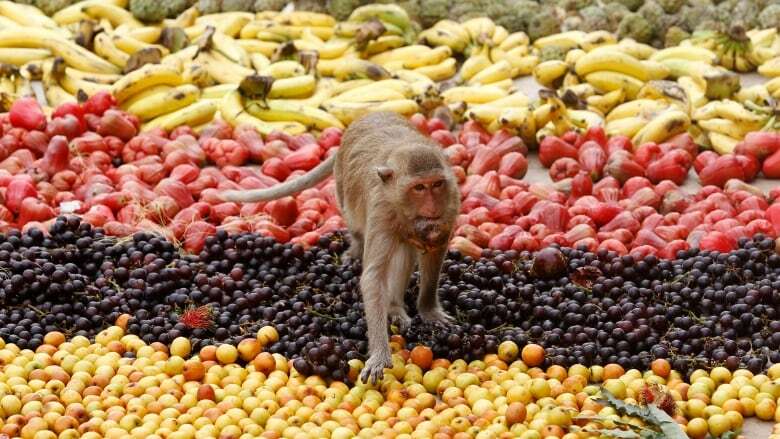 The fruit colours measured by the spectrometer could then be compared to the colour vision of different animals, something that has been measured and tested for years by Amanda Melin, a University of Calgary researcher who collaborated on the study. 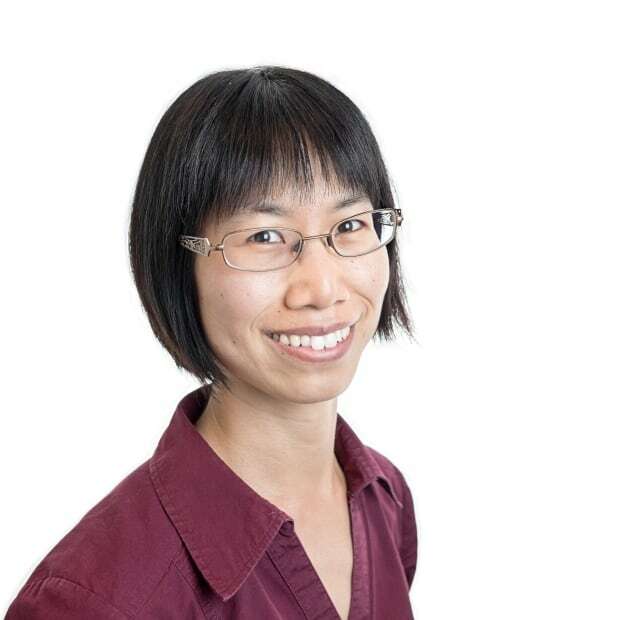 Melin, who holds a Canada Research Chair in anthropology, archeology and medical genetics, said she can accurately predict how an animal sees colours by examining the DNA in its feces. Nevo and Valenta reasoned that if that's so, it's probably best to look at all the fruit-eating animals in the community together instead of individually. 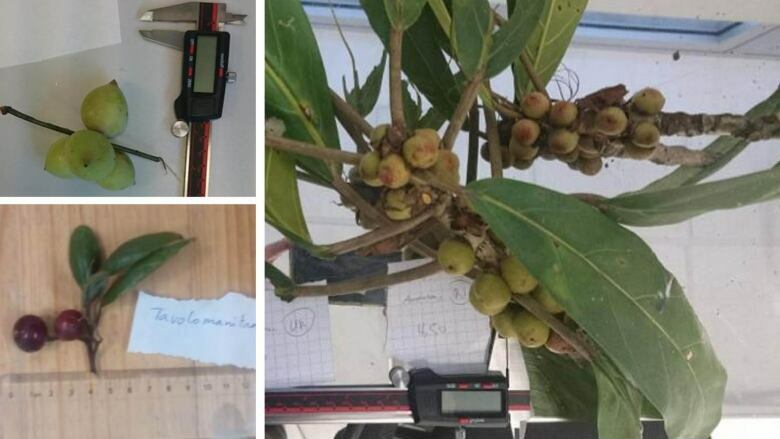 While talking shop, they realized they were both collecting fruit samples in rainforests with very similar plants but very different animals. "It's sort of a natural experiment," Nevo said. He was working among lemurs in the lush mountain rainforests of Ranomafana National Park in Madagascar, studying the odours and nutritional content of different fruits that range in colour from dark red to blue to purple to white. Valenta was collecting the types of fruits enjoyed by monkeys, chimpanzees and baboons — and sometimes elephants — in the "spectacular" mountain rainforests of Kibale National Park in Uganda. The study also found that closely related plants in the two areas weren't more likely to have similar colours than unrelated plants, suggesting that the colours weren't just a matter of genetic relatedness. Nevo said he was surprised by "how pretty" the results were. "It's rare that you have a hypothesis and you test it, and you get exactly what you expect." He said the results show how much animals and plants rely on each other and how complicated their relationships are — and, therefore, how important it is to protect whole ecosystems. "Once you start hurting either plants or animals, you risk interfering with a very complicated network of interactions." Jedediah Brodie, a biologist at the University of Montana who published an earlier study that found fruit colour wasn't related to the diversity of fruit-eating animals, said in an email he thought the new study was "really cool." "It provides some of the first evidence that fruit-eating animals can affect the evolution of fruit colour across big geographical regions."